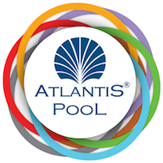 If you want to fight with strong bubbles, waves and if you don’t mind falling and getting wet try ATLANTIS POOL’ s “Wave River”. We guarantee that you will love it. Such pools that are designed in accordance with the theming of the park and the guest profile guarantee the success of your park. Rafting, one of the exciting outdoor sports which now can be enjoyed in aqua parks also. It can be experienced with in various levels of difficulty by adjusting the flow speed and wave patterns in artificial rivers. Our company determines the proper channel form for your park and implements the project. Channel length varies from 200 m to thousands of meters. By the help of appropriately located jet stream pumps, speed of the flow can reach up to 4 m/s. 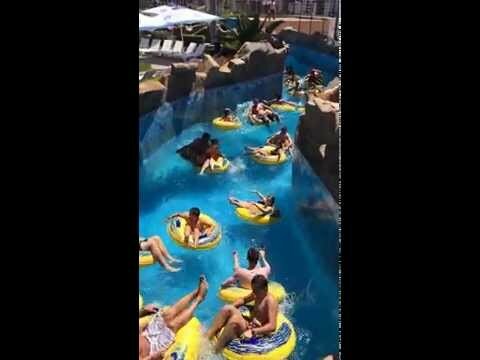 The channel, however, can be utilized as a lazy river, in case the wave stations are turned off. Wave Stations: By the help of multiple wave stations, wave forms, interferences, breaks, are created in complete compatibility with a natural river. Wave stations employ PLC control and operate via pneumatic systems. Channel Attractions: There are plenty of attractions such as tunnels, rocks and falls which can be formed artificially in the channel. Just imagine and we will construct it setting up additional several pumps and blowers. * Ölçüler nehir şekil tasarıma gore bağlı olarak değişebilir, her proje özel olarak değerlendirilir. Daha net ölçü, teknik detay ve fiyat bilgileri için Atlantis Pool Satış departmanı ile irtibata geçmenizi rica ederiz. **Nehirdeki aynı zamanda bulunabilecek kullanıcı sayısı. .